Spectrum provides emergency shelter and transitional housing for homeless and at-risk youth through programs designed to help youth transition to and maintain a healthy and stable life. These voluntary programs serve about 100 young people each year and are located in downtown Burlington. Spectrum’s youth warming shelter is a 10-bed, temporary shelter for youth ages 18-24. The shelter operates in the basement of St. Joseph’s Co-Cathedral at 29 Allen St. in Burlington, from November 2017 to March 2018. Youth in need of shelter may come by the Parish Hall entrance starting at 6 PM each night. If you, or someone you know, is in need of housing this winter, please call (802) 864-7423 x302, or, after 5 PM, please call (802) 324-2934. The eight-bed Landing is a short-term housing option for homeless youth ages 17-22. Each room has two beds, and residents share a common living, kitchen, and dining area. Formerly called the shelter, the Landing provides safety, basic needs, resources, and support for youth while they develop a plan to address their immediate needs, future goals and permanent housing. Youth who are successful at the Landing have the option to move to our Transitional Housing. Spectrum’s transitional housing program helps residents develop independent living skills and provides a bridge to self-reliant living through a structured and supportive community. The program is entirely voluntary. The residence has private individual rooms, shared bathrooms, common kitchen and dining areas, and living rooms. All youth enter into an individual housing lease and are responsible for paying an adjusted amount of rent based on income. The Pearl Street Residence serves youth ages 18-22 formerly in foster care but who have aged out and are in need of housing. This program is a collaboration between Spectrum and Burlington Housing Authority. Youth who successfully complete the program are eligible for a Section 8 voucher, which provides subsidized rent to the holder based on income. For more information, email housingreferrals@spectrumvt.org. 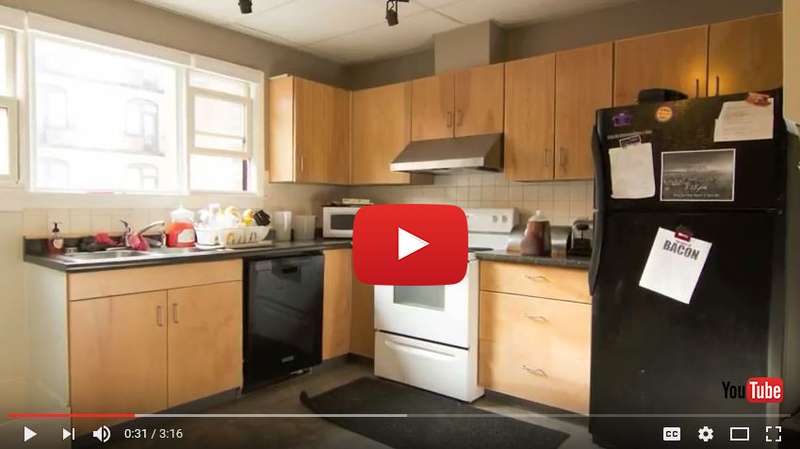 Interested in learning more about our Supported Housing programs and seeing the space? Attend our informational sessions on the 3rd Wednesday of each month at 3pm in our Drop-In Center at 177 Pearl Street, Burlington. To apply for housing, fill out this form. Want to learn more about the lives of the young people you’ve helped? 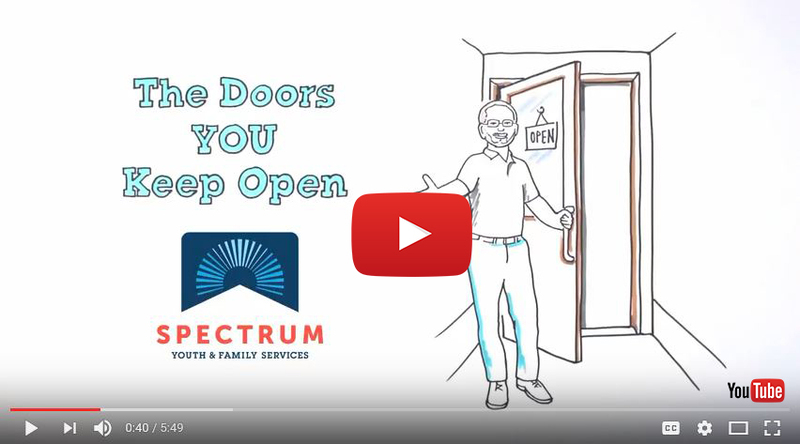 Watch “Spectrum Voices”, a documentary that tells the stories of the teens and young adults that use Spectrum's programs. The following is a speech that was presented by Tian B. at the 2018 Spectrum Sleep Out.